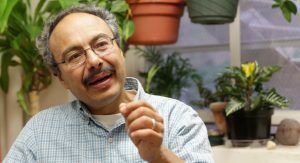 Alfonso Morales, PhD (Northwestern), is a Professor of Planning and Landscape Architecture at the University of Wisconsin at Madison. He is originally from rural New Mexico with roots in family farming there and in West Texas. He has established a nationally and internationally recognized and policy-relevant program of research on street vendors and marketplaces that has described the organization and consequences of marketplace processes historically and across populations. His research examines the intersection of these markets with various modalities of identity, including gender and race. He has also contributed to our understanding of business organizations, public health, and food systems. This latter work joins his interests in street commerce to food distribution, production and formal organizations (like Housing Authorities). His broader intellectual agenda includes basic and applied research of the social processes relating how people think and behave to interaction and organization and back again. He has extensive experience with students in community-based outreach and research.